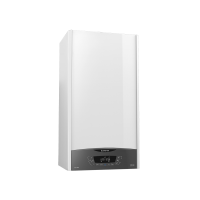 THE BOILER BOASTS THE NEW XTRATECH HEAT EXCHANGER FROM ARISTON AND WITH QUIET OPERATION AND A HIGH EFFICIENCY PUMP IT’S THE MOST ENERGY EFFICIENT CLAS.. The new Xtratech™ heat exchanger from Ariston is able to perform better and more efficiently than ever before: With a single coil design and 142% wider waterways it is more reliable with reduced pressure drops and less chance of blockages/obstructions. Performance is increased by having an improved condensing surface whilst being easy to remove, clean and maintain. Having been tested and certified by TUV Rheinland you can count on Ariston for safety, quality and usability. Installation and Maintenance ​Lightweight and easy to install With weights starting from just 28.5kg, it is easy to hang this boiler on the wall, while installation is straightforward, thanks to the simple to fit connections, wiring and flue.Extra space There is more room inside for engineers to work on the boiler, aiding installation, commissioning, servicing and repair, with easy frontal access to all components.Robust The boiler benefits from a strong and durable chassis, with no sharp edges. Colour coded Installing accessories is made even more straightforward thanks to the unique coding system where parts will only fit in the slots of a matching colour. Ariston branded components Major components are now Ariston branded for complete confidence in quality. Accept no imitations! Upgrade existing Ariston boilers Fully compatible with Ariston’s current range of accessories, the new boiler also has all connections in the same places – enabling an easy retrofit in place of an existing Ariston boiler. 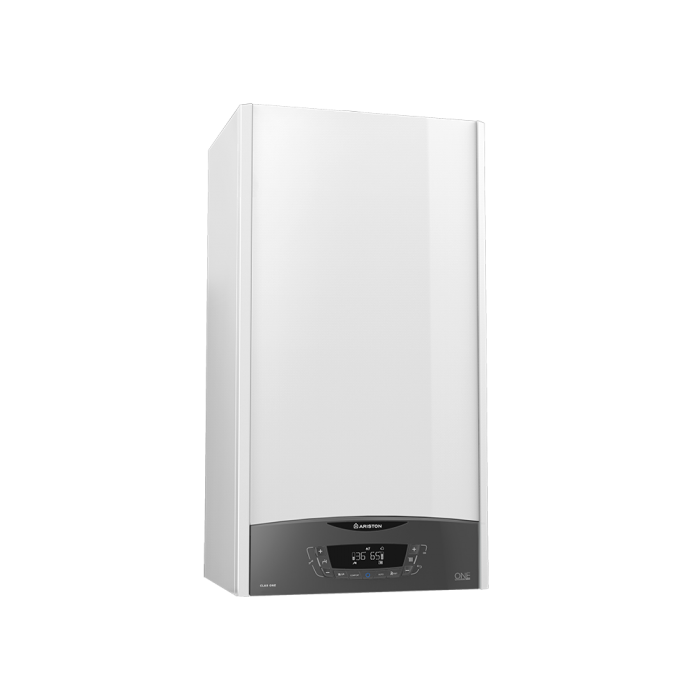 Usability and Controllability ​Quieter running A new and improved silencer and the latest soundproofing technology ensure this boiler range is the quietest Ariston has ever produced, with noise levels at 49-52dB across the range. These levels are similar to those of a domestic fridge freezer. Easy to set up Low voltage connections, colour coded wiring and a well-designed circuit board ensure it is easy to set up and pair the boiler with the latest Ariston controls. Easy to use A clear display panel with intuitive buttons and stunning fascia has been designed with ease of use in mind.Full range of controls Ariston’s latest wired and wireless controls are easy to operate, offering end users energy management tips, alongside modern styling. Zoning Full zone management kits are available, with the latest Ariston controls capable of managing up to six separate heating zones.